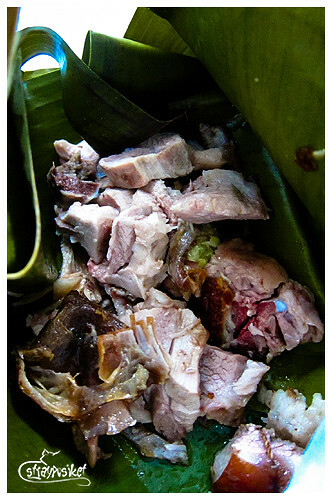 I had my first taste of Lechon Cebu last year. 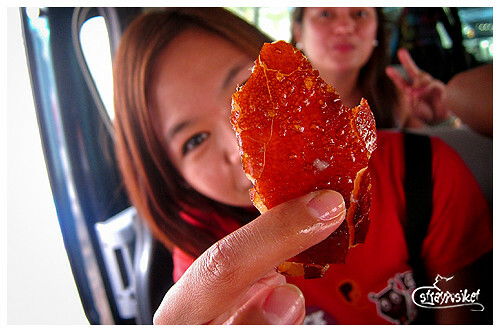 It was a pasalubong I requested from my folks who had an out of town trip to Cebu & Bohol. 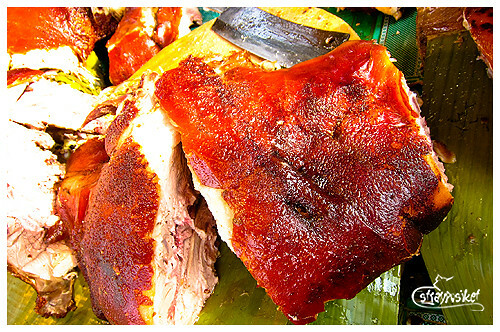 If my memory serves me right, it was bought from CnT – the largest Cebu-based franchise selling the famous Lechon Cebu. 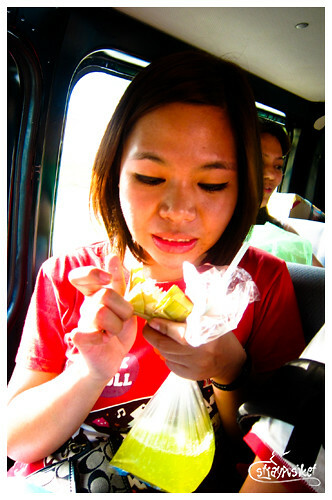 Soon after we arrived in Cebu, we decided to buy lechon before we continue with our city tour. 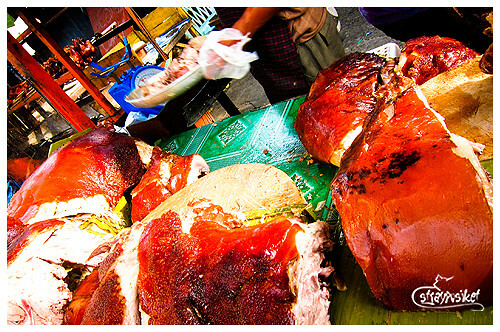 When in Cebu, you can easily find lechon being sold on almost every street corner. 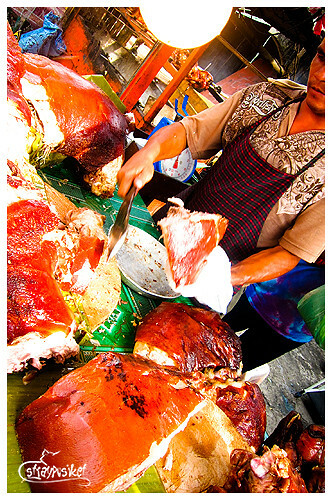 We stopped on a sidewalk and there we saw a number of stalls selling the famous lechon. They were being sold for 350 a kilo. May free taste pa! Some of my friends bought more than 2 kilos while Dell and I just settled for 1 kilo each to take home. 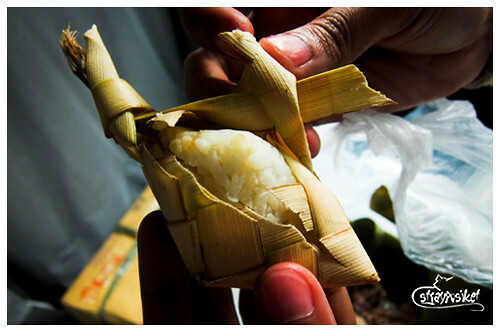 We had them packed in small boxes for 20 pesos. 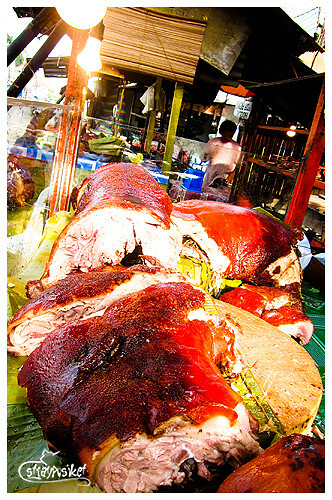 We also bought 100 peso worth of lechon for our late lunch.